Let Your Kids Be Awesome! Nunc sit amet egestas sem, non convallis lacus. In feugiat tellus nisi, rhoncus accumsan diam mattis at. Nam risus magna, fringilla ac interdum at, eleifend sed nisl. Maecenas sed magna nulla. * You can apply your photo promo code later in Cart. Summer vacation. School breaks. Long weekends. Consider yourself booked. These 10 dreamy destinations—all voted in by moms and dads like you—promise amazing memories and fun for everyone. The travel awards are here! Secure your picnic tablecloth with these colorful weights. To make, wash and dry rocks and cover each with a coat of decoupage glue. Before the glue dries, decorate the rocks using colored or patterned papers cut in a variety of shapes. To finish, paint a second coat of glue over the rock and let dry. True story: An acquaintance of ours, a 19-year-old with a high-school education, applied for a job at a local retail outlet. Her resume looked good and the references checked out, so she was asked in for an interview. Her mother went with her. Subscribe to our newsletter now to receive the latest updates and new promotions from us. 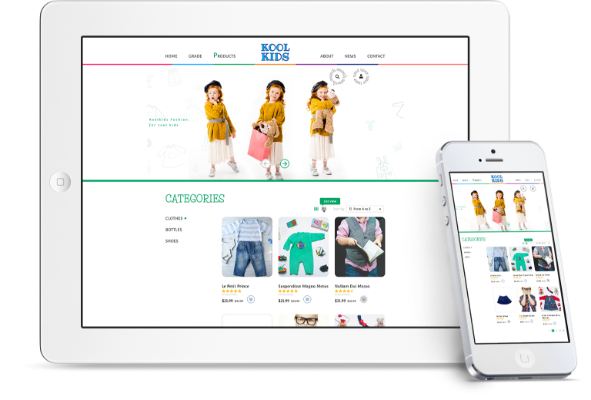 KoolKids is a website dedicated for Kids. We sell kid clothes and share latest news and tips to help make your kids better everyday. All of our items are free shipping and have a 30-day return & 90-day guarantee period.